This is a 160mm disc brake that can be fitted to either the front or rear. 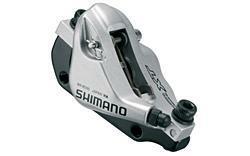 It has a super lightweight and rigid one piece calliper and shimless calliper mounting and adjustment. It comes in both International and Post mount and has a new splined compatible rotor.